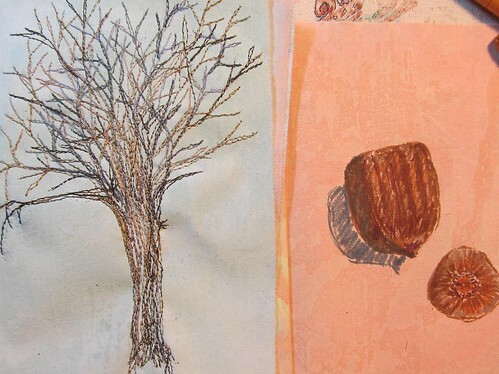 A thread sketch of the elm tree, and some sketched views of an acorn. I can't find its hat, which is making me sad, especially since I can't seme to find any acorns under the tree at the moment. This one was in a pocket.